How Many Sailors Does It Take to Change 111 Light Bulbs? Three! 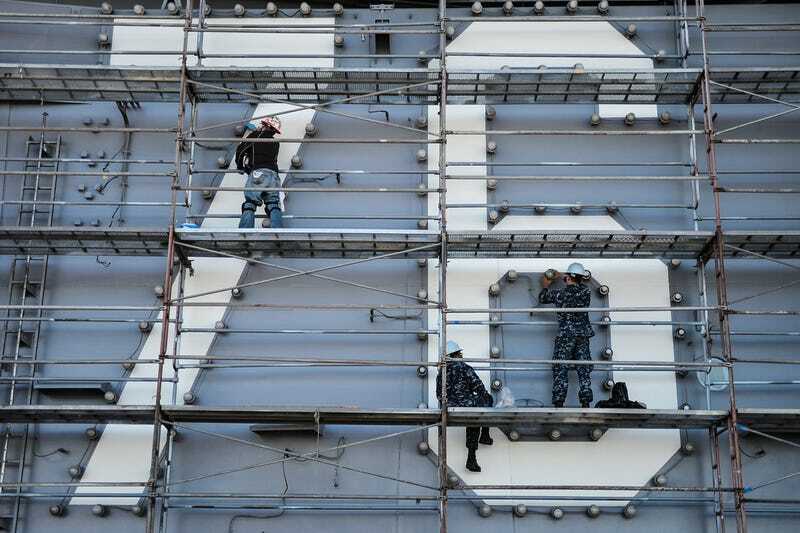 In this picture, a small team of sailors replace 111 light bulbs on the super structure of the aircraft carrier USS Ronald Reagan (CVN 76).